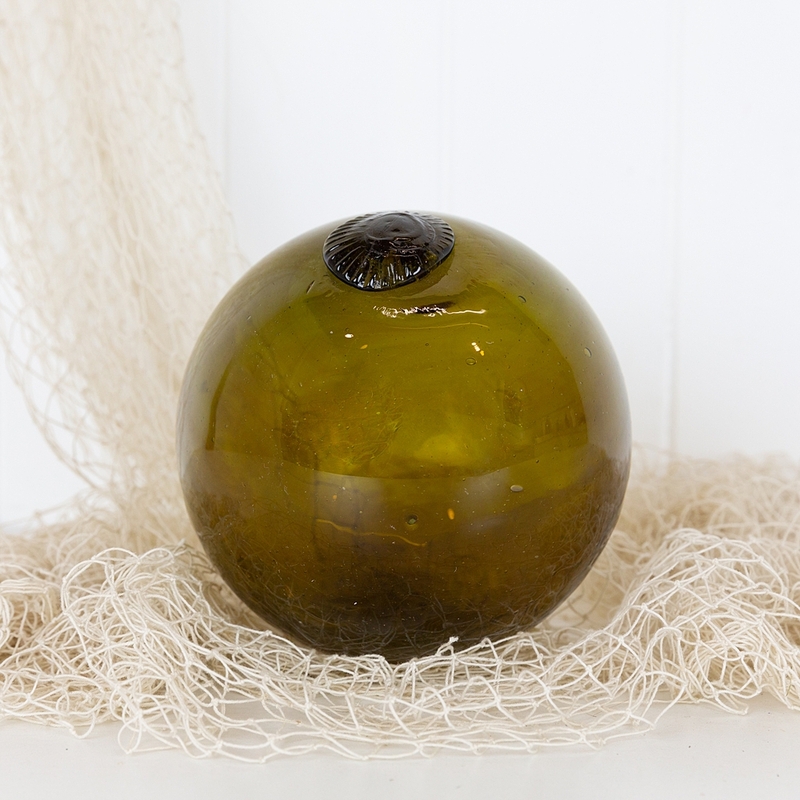 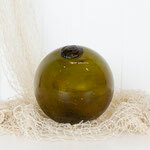 This 6 inch or small rockmelon size glass float has a pie seal. 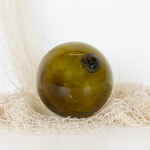 Recently acquired from a collector, the glass a brown tone, but when held to the light a yellow or amber colour can be seen. It would make a wonderful addition to a collection of floats or as part of a vignette.